The holidays are nearing and though they may not ask, your kids expect to wear the finest and latest outfits. The beautiful thing about shopping for your kids before the holidays is that you are able to get the smartest outfits before the stocks run out. You are able to get your little boy the pair of jeans and sports set that he always admire and your girl the princess dress that she adores. At PopReal.com, there are amazing outfits for your little ones. The designs are very trendy and you can be sure that your kids will adore them. 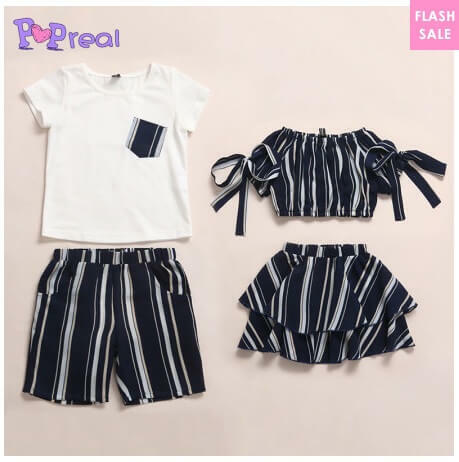 The interesting part of shopping at PopReal.com is the freedom to buy matching sets at affordable prices. For example, if you have a boy and a girl that are close to each other and probably close in age, you can get them matching outfits. The same applies to two boys or two girls who you want to dress up similarly. There are also family sets if you want to match what your kids wear. So, it’s realistic to argue that PopReal.com has every member of the house covered. When looking for an official outfit for your girl, very few beat this set. Its theme is white thus befitting an angel. The set comprises a single stripped top and a pair of white trousers. It’s best suited for the spring and summer climate. 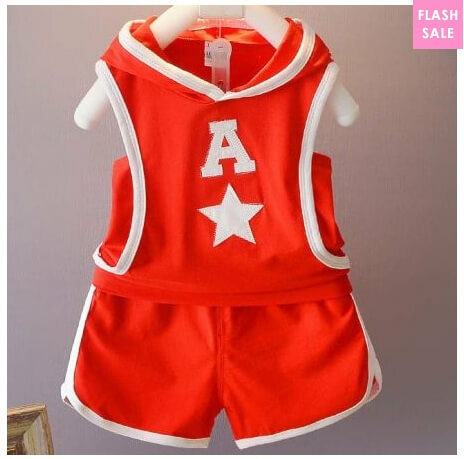 The material is 70% cotton and can be worn by girls between 2 years and 5 years. The look suits formal functions such as weddings and church gatherings. The outfit can also be worn to family gatherings and award ceremonies. The clothes go well with complementary shoes, preferably white sneakers. Boys love sports attire, especially ones with classic prints. This is what this outfit offers them. 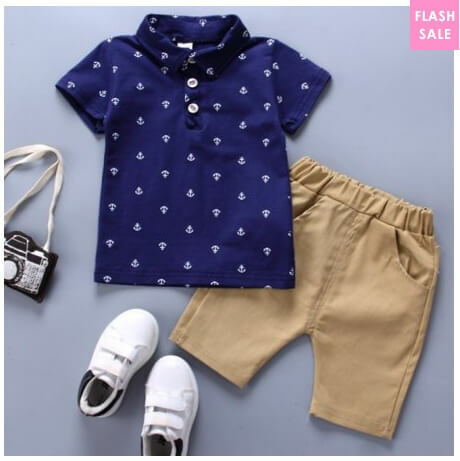 The outfit is ideal for boys aged 1-4 years. The set comprises of one printed sports top and complementary shorts. The most popular color is red but you can also ask for others such as white and black depending on what your little boy fancies. The material is 95% cotton thus quality is guaranteed. The set goes well with a pair of complementary sneakers. 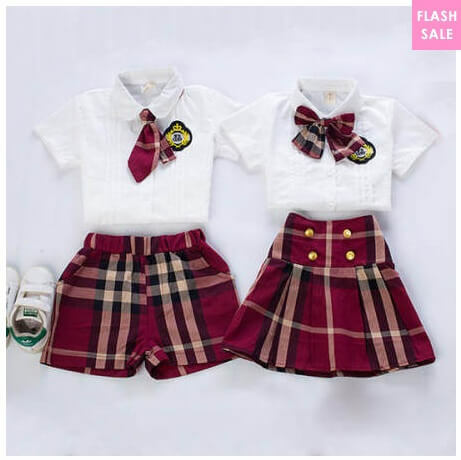 This set is popular with boys but can also be worn by girls too, aged 1-5 years. Its theme is blue and should be worn with complementary casual shoes. The set comprises of a single top and a pair of shorts. The material for the clothes is 95% cotton thus suited to the summer climate. This outfit is ideal for social functions such as a party or a church gathering. The look is casual smart and so your kid will adore it. 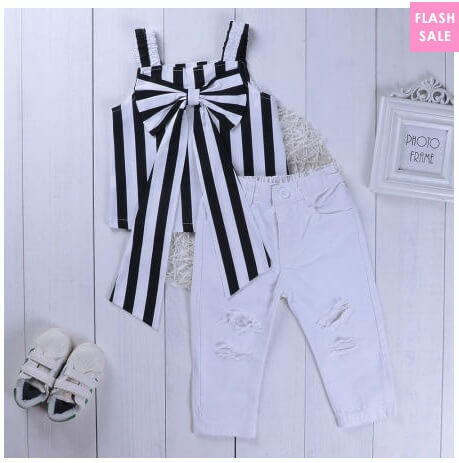 If you are a fan of stripped outfits, you can get your boy and girl this set to match your finest outfit. It’s both official and casual and so can be worn to weddings, presentation ceremonies, family gatherings, and birthday parties. It’s ideal for kids below 7 years. The material is Dacron and is suited for the summer season. The theme of the outfit is navy blue and so you should look for matching shoes. If you fancy classic British attires, you should get this outfit for your boy and girl. It’s an official attire that your kids can wear to any formal gathering. For kids who are very close and those who like to dress the same style when they go out, this outfit is ideal. It’s smart and can complement your official vintage suit. The set comprises of a two matching tops, a skirt, and a pair of shorts. They go well with complementary shoes. The above 5 looks for kids are really adorable. Whether you want the clothes worn for formal or informal events, your kids will look adorable in them. What’s more, the five highlighted looks come at very friendly price points. You can also take advantage of the amazing coupon offers and discounts. In fact, CouponCause.com has new PopReal coupons for the above looks and more. You can visit the site today to take advantage of the offers.